Fortunately for us, many acclaimed transformative leaders call San Diego home. We don’t have to look any further than our own Deepak Chopra for tools to unlock our spirit and the purpose of human-kindness we all inherently possess. But you could look much further, in fact back to our closest living relatives – chimpanzees and bonobos, which equally possess 98.5% of human DNA. Dutch/American biologist and ethologist Frans de Waal who has observed human society through the lens of animal behavior, has dedicated his life to understanding the social behavior of primates. According to de Waal from his 2006 book, Our Inner Ape, “I sometimes try to imagine what would have happened if we’d known the bonobo first and the chimpanzee only later—or not at all. The discussion about human evolution might not revolve as much around violence, warfare and male dominance, but rather around sexuality, empathy, caring and cooperation!” Translation: we are hard-wired to relate and care for one another. Purpose is innate in all of us. I am a late-comer to the nonprofit world. When I was younger I believed that financial success would bring me peace and happiness. My purpose then was to provide for my employees and my family and to ensure the health and well-being of my children. But, when my kids launched I realized that something was fundamentally missing in my life. At this time I began a process of discovery and realized that this purpose was guided by my upbringing. You see, raising and launching kids was my parents’ way to show the world that even though they lost their parents, their siblings and nearly everything as children during WWII, they survived. I’m evidence of their survival. I am their purpose, just as my kids are part of mine. I have one foot in the past, one foot in the future and I’m determined to make a difference in our world. In 2017, Charity Navigator named San Diego “America’s Most Charitable City.” San Diego is also the home to the west coast’s largest gathering of professionals working to align purpose with profit, the 2018 Cause Conference. On Friday October 12, 50 speakers and hundreds of attendees will come together to explore innovations and strategies to advance business’ purpose-minded practices and share experiences building supportive communities. This year’s Cause Conference is a joint effort of the American Marketing Association San Diego and the Chamber of Purpose (Cop). CoP is a nascent all-volunteer start-up with a grand mission to connect, coach and champion purpose in the San Diego business community. At the CoP, we believe that commerce is at a crossroads. In order to be successful as a community we need to embrace a future-minded fourth business sector, where for-profit, nonprofit and civic businesses sectors come together to advance people, profit and our planet. This year, Cause Conference is celebrating its 20th Anniversary. Keynotes will include Skyler McCurine, M.A. of Le Red Balloon, a transformational stylist who emphasizes personal branding, advocacy and radical leadership, and Patrick Combs, Inspiring speaker, author and comedian. Other speakers and panelists include Malin Burnham, CEO, The Burnham Foundation, Linde Hotchkiss, Managing Partner, Willis Towers Watson, Alberto Mier y Terán, President & General Manager, KFMB Stations and Dr. Michael R. Cunningham, Chancellor & CEO, National University System, among others. I hope to connect with you and hear about your purpose journey at the 2018 Cause Conference, where our community will explore ways to ensure San Diego is not only America’s most charitable city, but the most purpose-minded as well. Feeling inspired? Cause Conference 2018 is Friday, October 12 at Town & Country Convention Center in Mission Valley. 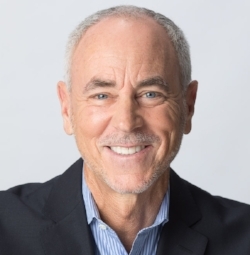 Steven J. Schindler is the Founder & CEO of CONNECTIVITY LLC, a strategic planning and marketing consultancy, and is a member of the Chamber of Purpose leadership team.